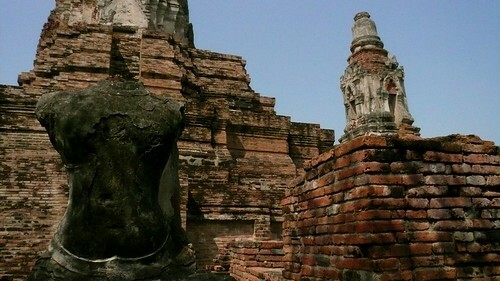 The Bangkok Post carried a feature on one of Thailand’s most-cherished World Heritage Sites, the ancient city of Ayutthaya. Read on to find out more about this Venice of the East! After a period of silence, the state of Malacca is trying to find out what’s the story behind the bones that were unearthed last year. In this week’s rojak, we take you to the spectacular temples of Cambodia, Java and Thailand. Migration in Southeast Asia: It's the other way around! New genetic-level studies on Southeast Asian populations throw up new ideas about how humans migrated and populated this region – it may well turn out that the Austronesian expansion wasn’t as big a deal as it was made out to be. In response to last week’s vandalism of the Khmer temple of Phanom Rung, the Thai Fine Arts department have funded additional security measures. The word on the ground is that the vandalism is part of an occult ritual. Vietnam has its share of mysterious mummies too – this one is from Ho Chi Minh City, apparently an aristocrat who died over 140 years ago. It is the general assumption that Srivijaya was an powerful maritime kingdom that played an important role in the political forum in early Southeast Asia for many centuries, from 7th century to the end of 13th century AD. Just as its sudden appearance not very much is known of its decline, for that matter, the extent of this hegemony especially in Insular Southeast Asia during the height of its power. It influenced many social aspects in the region at that time, such as history of political life, beliefs, culture and economy. Bangkok Post carried a feature yesterday about the history of the disputed Preah Vihear temple as well as a history of the dispute.